To install Qt, please follow the step-by-step instructions. 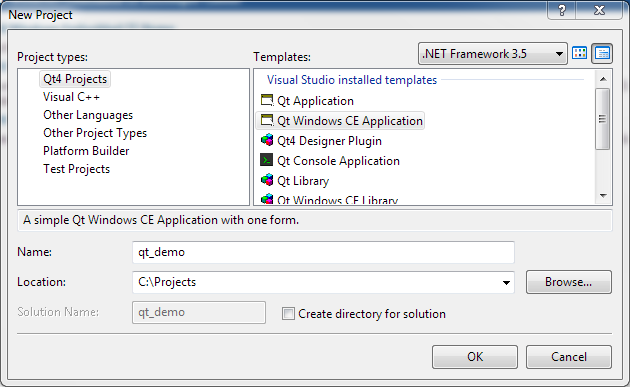 This installation instructions are valid for Qt 4.8.4 with WinCE 7 under Visual Studio 2008. Browse through File > New > Project > Qt4 Projects (on left pane) > Qt Windows CE Application. 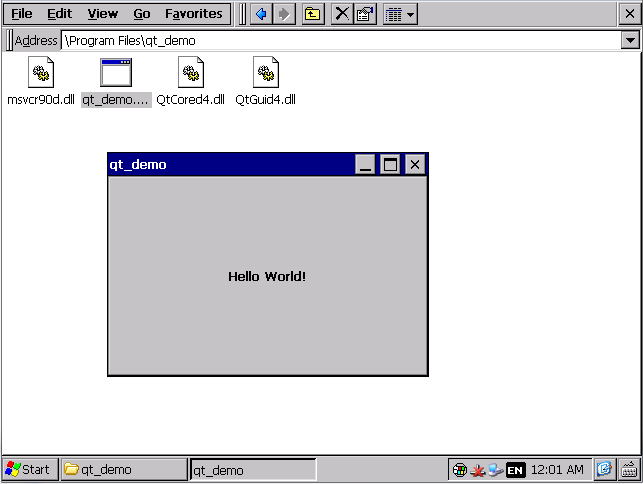 Choose a project name (i.e qt_demo) and click OK.
On next page, you will see ‘Qt4 Windows CE Project Wizard’. 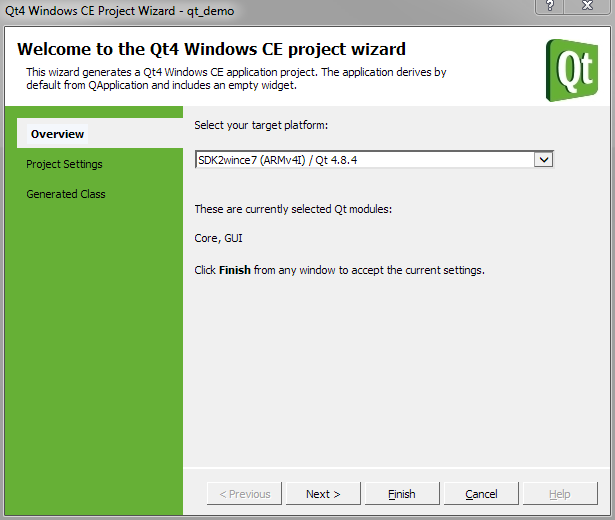 Qt program wizard automatically detects the installed Qt version for WinCE 7. Click Next. This page gives you an option to add additional Qt libraries depending on your application (QtCorelib and QtGuilib are default libraries). Edit the code as shown below. You will find the executable and other deployed files in project folder present in My Device > Program Files on Toradex module. To learn how to use Toradex libraries in Qt Application, follow this link.